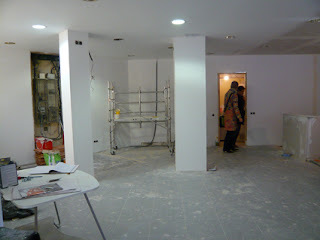 Now the walls are all white, tomorrow we will be testing the other wall colour possibilties. well actually, other shades of white. What will bring colour and life into vonblum will be the beautiful products, the food and YOU.